Panelists discussed the alleged fear of Islamic Shari'a infiltrating American law and culture. 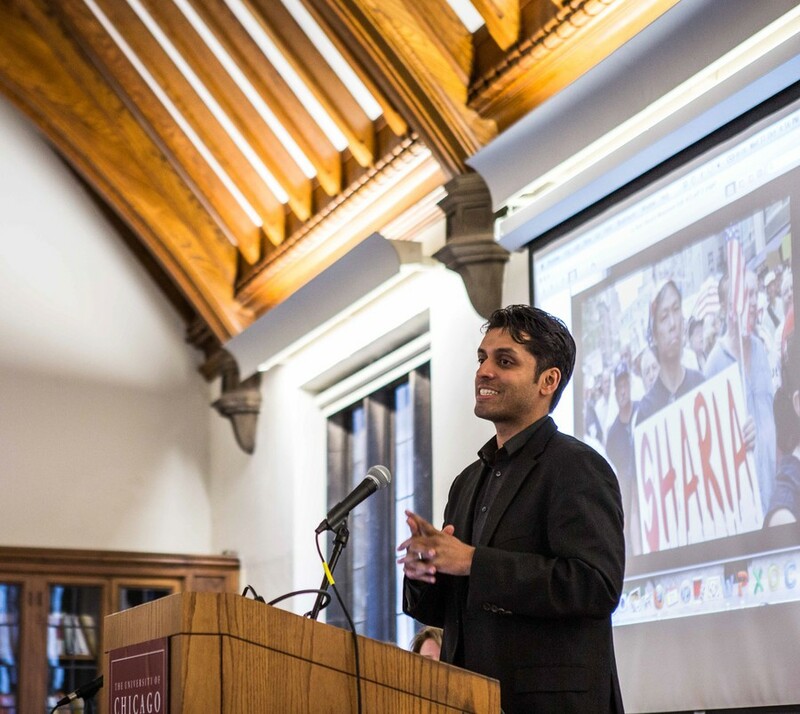 Halloween night provided the backdrop for a panel at the Divinity School’s Swift Hall dismantling an alleged fear among Americans: the encroachment of Islamic Shari’a into American courts and public life. Shari’a, an Arabic word for “the way,” is the general term for the efforts by Muslims to interpret sacred Islamic texts and beliefs into guidelines for living an Islamic life. Ali, a lawyer and commentator, recently contributed to a report which details the rise of what he refers to as the “Islamophobia network.” He feels this network has actively spread anti-Muslim lies, such as President Obama’s alleged Islamic beliefs or the idea of “creeping Shari’a,” the notion that American Muslims seek to institute Shari’a in American courts. “This rhetoric is not cost-free,” he said, citing the rise in anti-Muslim hate crimes. “It is not uncommon to hear that there is a Shari’a for every Muslim,” she said. Despite these findings, about 30 states have proposed bills or amendments that claim to defend the American judicial system from Muslim imposition of Shari’a. Islamic studies scholar Lee Ann Bambach, the third panelist, shared the story of state representative Gerald Gay of Wyoming, who defended a proposed constitutional amendment in his state as a “preemptive strike” against the Sharia threat to his government. Wyoming has a Muslim population of 263 individuals. Bambach said that she believes these laws are aimed at attacking Muslims, since the Constitution’s Establishment clause would prevent courts from officially recognizing Shari’a regardless. Although all three presenters had their doubts about Islamophobia ending in the short term, Ali looked to history for a good omen. “These fearmongers always become the villains of our children’s history books. Let’s hope that happens in this case,” he said. The panel was the first in a series sponsored by the Center for the Study of Gender and Sexuality.